The big daddy of the Lumia series, the Lumia 900 is now finally shipping in the US through AT&T stores. The launch saw weekend celebrations in New York with singer Nicki Minaj anchoring the event at Times Square. The Nokia Lumia 900 has a bigger 4.3 inch ClearBlack display, 1.4 GHz processor, an 8 megapixel camera with Carl Zeiss Lens, 1830 mAh battery, and runs on 4G LTE network. 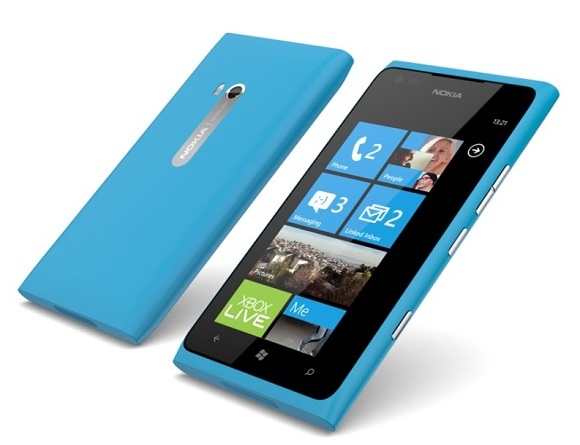 The Lumia 900 is available for $99.99 on a 2-year contract from AT&T and is currently available in matte black and cyan colour options. The special white Lumia 900s will be in stores on April 22nd nationwide. Some new accessories by Nokia are also now available in the US including the Nokia Purity HD Stereo Headset by Monster, the Nokia Play 360° Wireless Speaker, and soft bumpers that fit snugly around the edges of the phone. Facebook buys Instagram for $ 1 Billion!